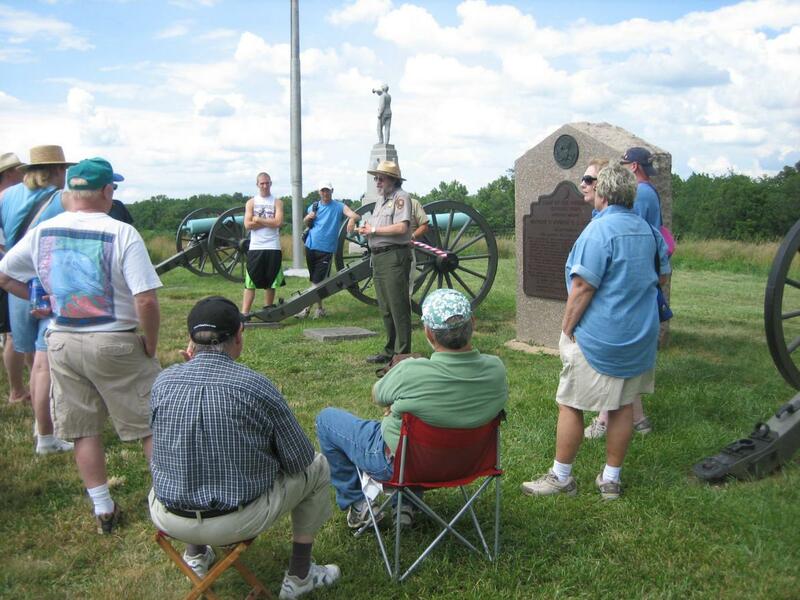 Ranger Historian Karlton Smith presented a “Real Time” program at Barlow’s Knoll at 3:30 this afternoon. His program focused on the position of these men in the 11th Corps as they were attacked by brigades in Jubal Early’s division. This view was taken from the south facing north at approximately 3:30 PM on Tuesday, July 1, 2008. 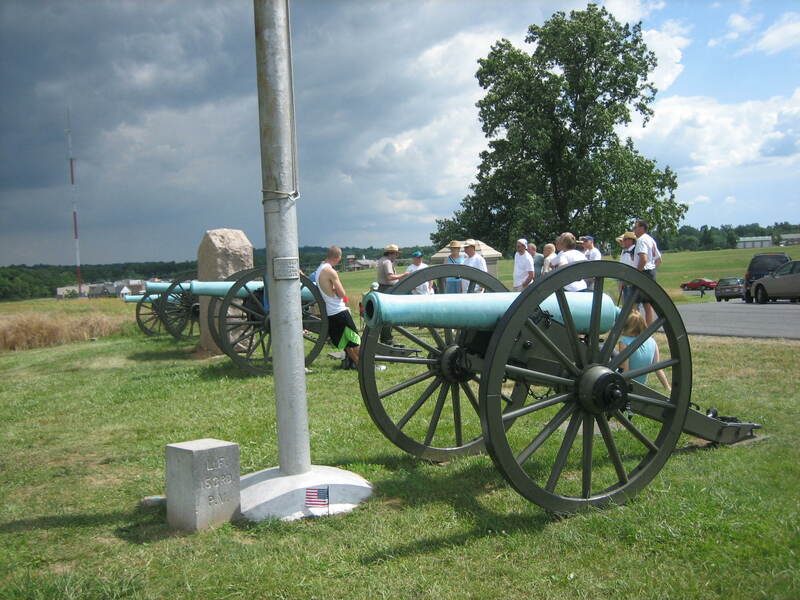 The National Park Service at Gettysburg National Military Park have added new programs for the 145th Anniversary of the battle. “Real Time” Programs are to take place at approximately the same time that action occurred on the same location 145 years before. 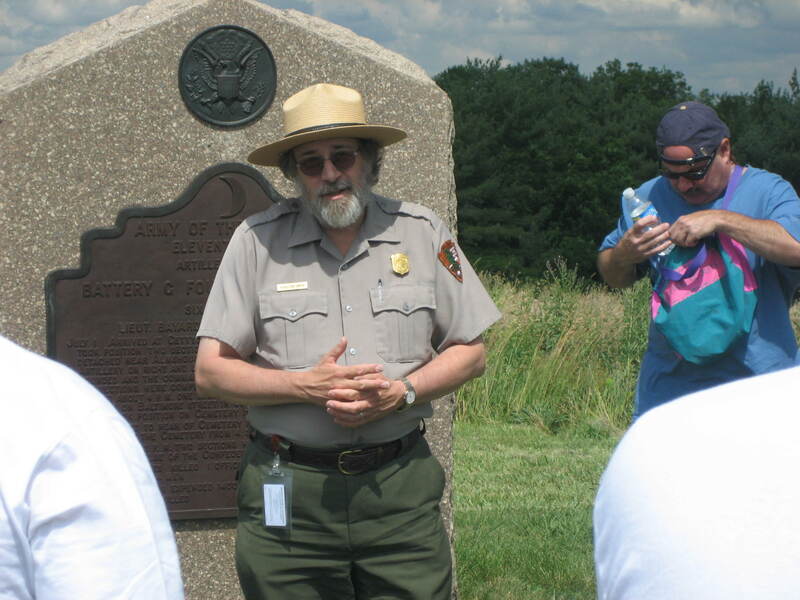 The Gettysburg Daily caught up with Ranger Historian Karlton Smith at Barlow’s Knoll at 3:30 PM. 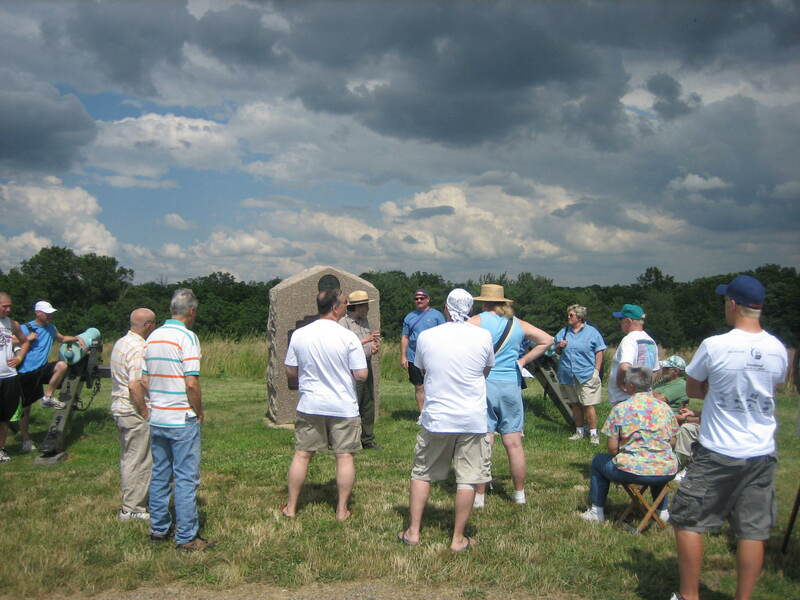 One of the stories of Gettysburg that Karlton attempted to give another view of was the wounding of Lieutenant Bayard Wilkeson, who commanded this artillery battery. The commonly told story is that Wilkeson was wounded in his leg, obtained a sash to use as a tourniquet, and later used a penknife to amputate his own leg. Karlton said that 11th Corps Artillery commander Thomas Osborne told a different story. He said that when Wilkeson was wounded, the artillery round took the leg completely off. There was no later amputation. This view was taken from the north facing south at approximately 3:30 PM on Tuesday, July 1, 2008. Another interesting point was the Barlow-Gordon story of Gettysburg. Barlow was wounded, and Gordon gave him aid. They thought each other was killed in the war, but met at a dinner in Washington in 1868. Gordon’s version of the story is often told on the battlefield. Barlow, however, never gave a version of this story. His family never denied the story, but they didn’t confirm it either. This view was taken from the west facing east at approximately 3:30 PM on Tuesday, July 1, 2008. Karlton spoke of the animosity between Barlow and his men in the First Division of the 11th Corps. He didn’t like them, and the feeling was mutual. An example Karlton gave was when Barlow was wounded, only two men in the whole division attempted to help him off the field. One of them was wounded, and the other dropped Barlow, and left him. This view was taken from the west facing east at approximately 3:30 PM on Tuesday, July 1, 2008.